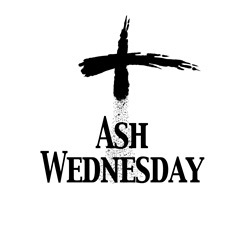 Roman Catholic Identity: Santo Subito! 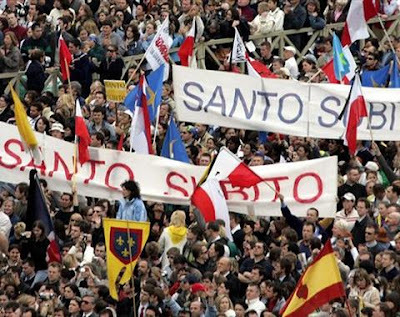 As early as the funeral of Pope John Paul II the vox populi was heard and banners were seen declaring him a "saint now!". Pope Benedict agreed, suspended the ordinary five year minimum post-mortem waiting period, and began the process. There recently has been some 'chatter' that the investigation period was nearing a close but was delayed by the discovery of a suitcase containing 55 years worth of correspondence with a personal friend. Regardless, the pope's former press spokesman, Joaquin Navarro-Valls, has said in an interview with Il Sole 24 that Pope Benedict XVI could announce the beatification as early as this year. 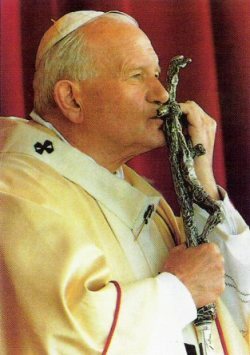 There have been numerous reports that the beatification will take place on April 2, 2010, marking the fifth anniversary of his death. That's where my money is! Enjoy the video.